Westgate Walding will be holding an art auction on Wednesday 28 April at 14h30. Art on auction include works by Adriaan Boshoff, Alexis Preller, Winston Saoli, Speelman Mahlangu, Daniel Novela and Lucky Sibiya amoungst others. Ashbey’s will be holding an auction on Thursday 22 April. Art on auction includes works by Kenneth Baker, Frans Claerhout, Maggie Laubser, Vladimir Tretchikoff, John Muafangejo, Carl Adolph Buchner, Judith Mason Attwood and many more. 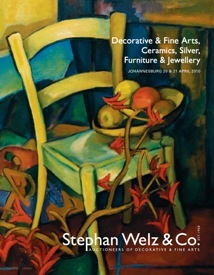 Stephan Welz & Company’s Johannesburg auction takes place on 20 & 21 April 2010. Highlights in the sale include works by Norman Catherine, Cecil Skotnes, William Joseph Kentridge, Vladimir Tretchikoff, John Koenakeefe Mohl, Alexis Preller, Frans Oerder and Robert Hodgins amoungst others. 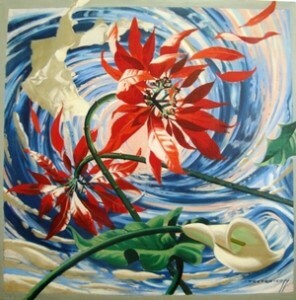 Bernardi Auctioneers will be holding an art auction on Monday 12 April. The first art session will start at 15h00 with 142 lots under the hammer. 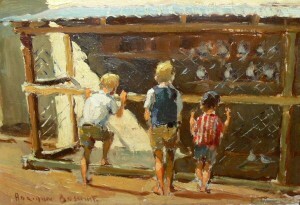 This will be followed at 17h30 by a selection of 63 important South African paintings, watercolours, sculpture & prints. 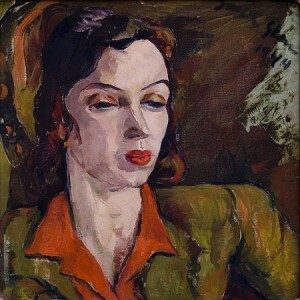 The auction will include works by Walter Battiss, Gregoire Boonzaier, Frans Claerhout, Robert Hodgins, Alexis Preller, Adriaan Boshoff, Hendrik Nieman and Irma Stern amoungst others.